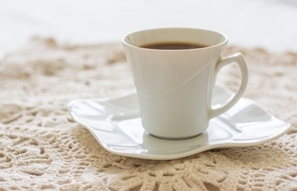 The weekly coffee morning is held between 10am and noon in the upstairs room of the Library in Boroughbridge This is a drop-in event and open to the general public. An average of 24 guests attend most weeks. Volunteers work two to a team on a rota and each team volunteers an average of one Friday every 5 weeks. The role of the volunteer is to arrange seating if required, serve tea/coffee/hot chocolate with biscuits, wash up and tidy room if required. Established to help the disadvantaged and disabled members of the community regardless of age. Seeks to meet the needs of the local community. Recruits volunteers to help provide a lunch club and minibus & car transport. Services include visiting and shopping. Holds regular Friday coffee mornings. BCC has its own minibus, driven by qualified volunteers. Outings to local areas of interest are organised throughout the year which are open to all residents regardless of age. The minibus is also available for local groups and organisations to hire. The minibus is fitted with rear loading hoist for wheelchair access. Wheelchairs are available for short or long term loan.